Sayonara Nukes Berlin, Anti-Atom-Berlin and NaturFreunde will hold its third anti-nuclear public rally “Kazaguruma Demo” on March 7, 2015. Our motto will be: “Vergesst FUKUSHIMA nicht! (Remember FUKUSHIMA!)”. We will march through the city center of Berlin holding Kazaguruma (pinwheel in Japanese) to remember the lesson learned through the Fukushima disaster and call for a nuclear-free future. To show our respect to the culture that the people in the Fukushima region embrace, we will dance one of their traditional folk dances “Kansho-Odori”with remix music of a popular folk song from Fukushima called “Aizu-Bandaisan” in our parade. Join us and dance with us! * Kazaguruma (pinwheels) will be distributed during the opening of the demo on 07.03. Send us your cool remix to be played at the public demonstration in Berlin! Sayonara Nukes Berlin is planning its third anti-nuclear public rally “Kazaguruma Demo” on March 7, 2015. Our motto will be: “Vegesst FUKUSHIMA nicht! 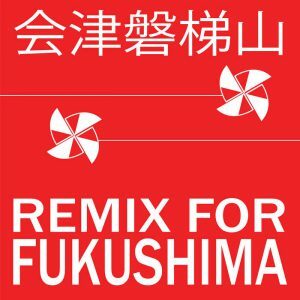 (Remember FUKUSHIMA)”. We will march through the city center of Berlin to remember the lesson learned through the Fukushima disaster and call for a nuclear-free future. To show our respect to the culture that the people in the Fukushima region embrace, we will dance one of their traditional folk dances “Kansho-Odori” in our parade. The music that is used for the “Kansho-Odori” dance is a popular folk song from Fukushima called “Aizu-Bandaisan”. Berlin has a leading club culture and the city is the birthplace of the “Love Parade” as well. We would love to see this seemingly-old-fashioned folk music like “Aizu-Bandaisan” remixed and revived into a cool techno dance music and presented in the city. Here you can listen “Aizu bandaisan Sayonara Nukes Berlin version”. We are ready to give you all the data from this version for free. The stipulation is that the remix version should be a powerful upbeat music of max. 5 minutes to be danced with “Kansho-Odori”. Please download the sample file below and feel free to work on it. Please use a file hosting and upload your file to a service provider such as Dropbox.com. Send the link to your file to info@sayonara-nukes-berlin.org (Do not attach your file directly to your e-mail.). If your remix is accepted, your music will be played by DJs at our parade. Please note: We do ask for your contribution on a voluntary basis. No copyright fees will be paid. Your kind cooperation will be very much appreciated! We welcome your participation with your remix music from all over the world! (You don’t have to be a resident of Berlin.) We also welcome Berlin DJs who are interested in joining us and playing music at our Kazaguruma Demo! If you would like to know more about „Aizu Bandaisan“ und „Kansho-Odori“, please check out links below.